Saint-Gobain's activities revolve around the key concept of "innovation." This is supported by research and development efforts, an area in which the entire Group is highly devoted. Research and innovation are at the heart of Saint-Gobain’s habitat solutions strategy and sustainable development policy. Ongoing initiatives to develop the Group’s innovation culture are clearly producing results: for six years in a row, Saint-Gobain ranked among Clarivate Analytics’ Top 100 Global Innovator Companies. The Group intends to pursue its efforts in the years ahead – notably in terms of investment – to maintain and extend its leadership positions in its Activities and sustain a high level of performance and operating excellence. Saint-Gobain’s commitment to eco-innovation can be seen in the market success of Saint-Gobain Glass’s Miralite Revolution lead-free mirrors, Pont-à-Mousson’s BluTop lighter-weight pipes and Verallia’s eco-designed EcoVa bottles, which are sold around the world. Another example is provided by weber.therm A 200 composite external wall insulation systems combined with weber.pas top surface coating, which won the Bundespreis Ecodesign 2012 award for the best eco-innovative product from the German Federal Environment Ministry. On June 24, 2010, Saint-Gobain K.K. signed agreements for future collaboration under "Center of Excellence (COE)" with the National Institute for Materials Science (NIMS) to establish the NIMS Saint-Gobain Center of Excellence for Advanced Materials. NIMS has also founded a new research center called "NIMS Saint-Gobain Center of Excellence for Advanced Materials" at the Namiki-site, on 6 September, 2010 (managing director: Toyohiro Chikyo). 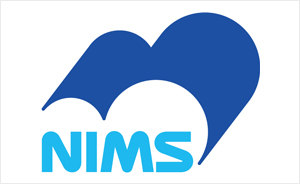 Naoki Ohashi took over as second-generation managing director (NIMS representative) in April 2013. Mari Kono serves as the Saint-Gobain representative and Yoshio Matsui as the administrative manager for the External Collaboration Division and Research Collaboration Office of NIMS. 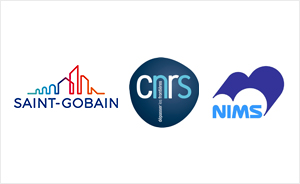 On October 2014, Saint-Gobain, the CNRS (French National Scientific Research Center) and the NIMS (National Institute for Materials Science) have opened the Laboratory for Innovative Key Materials and Structures (LINK). The aim of this international research center is to develop new materials that could have applications in several of Saint-Gobain’s industrial activities, in particular ceramics, grains and powders, crystals, glazing and abrasives. The LINK’s research will focus on creating new materials, including their synthesis, elaboration processes and studies on their physical-chemical properties.